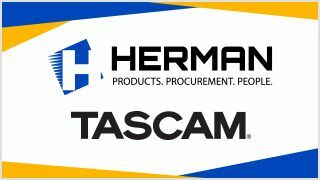 Herman has entered into a distribution partnership with Tascam. “We are very excited to partner with Tascam,” said Jeffrey Wolf, executive VP at Herman. “Tascam is a leading audio manufacturer known for their outstanding solutions to the audio professional. The Tascam partnership provides us with a strategic addition to our product offering to further deliver value and benefit to our integrator partners.